Buying and selling gold and silver coins can be a fun hobby and a way to make a little extra money. However, if you’re looking to get into this market, you need to have a reliable gold and silver coins appraisal team standing by. You don’t want to risk buying OR selling coins that aren’t worth what the price. 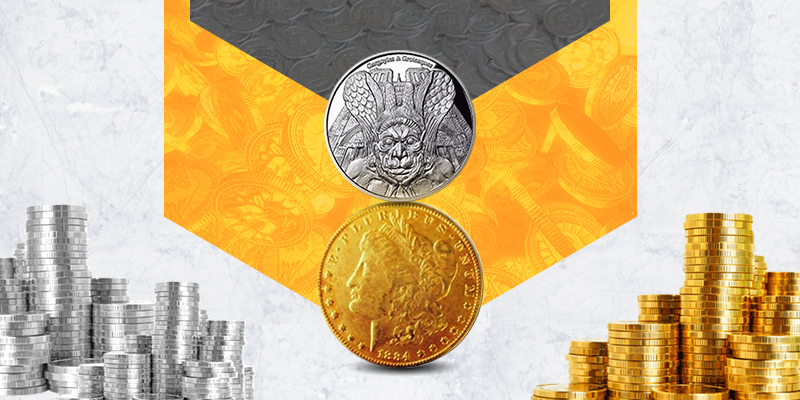 If you have some gold and silver coins that you’re ready to sell outright for a fair price, we’re here to assist you with that too. We buy many coins & collections from those looking to sell. We have over 40+ years of experience in buying gold and silver coins & appraisal services. As a trusted name in gold and silver bullion appraisals, we see a huge number of different coins each year in the industry. These coins range from antiques to more current coins that are quite rare. Whether you’re a gold and silver coin buyer or if you’re simply looking to sell a few of the pieces you’ve collected over the years, you need an appraiser to look out for your interests. We’re here to do just that, we’ve worked with everyone from hobbyists and insurance companies to collectors and courts. Our word is our bond, and you can put full faith in our appraisals. Getting an appraisal done before making a transaction is the best way to ensure that you get the best price for your gold OR silver coins. In addition to appraising items, we can buy the items directly from you and we offer the best prices for gold and silver coins. We also help you to understand the basic gold and silver coin related terminologies to give you a clearer understanding of what you’re dealing with, we aim to answer all of your questions and help clarify any doubts you might have with the appraisal we do OR the prices that we offer. By now you know that we buy Gold and Silver coins at the best prices, but we also host regular auctions to offer the best prices for all items we purchase, we’ve been in the auction business for more than 50 years and we know how to bring in interested clientele to purchase your coins. Selling through an auction is often much quicker and easier. You might not be looking to buy or sell coins to come to us for an appraisal. Some of our clients want to know what their collections are worth. Some are simply curious. Others need an appraisal for insurance purposes. No matter what your end-goal is, we handle every one of our appraisals the same. When we’re finished with our study of your coins and any research required, you have the option to sell the item to us at the best price OR we can place it in one of our auctions that are running through the year for our clientele of collectors. We at William Smith, deal in Gold, Silver, Coins and Antique Jewelry and if you’re searching for the best dealers to evaluate and sell your antique Silver and Gold you’ve come to the perfect place. We have been offering our services for the past 50 years in the Connecticut, New York & Now Arizona region. If you’re ready to dive into the world of gold and silver coin collecting, don’t make the mistake of not having coins appraised before you buy them. We’re here to assist you with all of your coin appraisal, selling, and auctioning needs. Call Us Today !! !